Terra's Kitchen is a unique subscription service for healthy prepared meals offering additional paleo, gluten-free, low-calorie, vegan and vegetarian options. 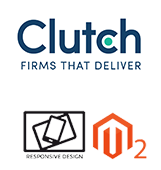 They approached us seeking expert developers to maintain and update their Magento Enterprise site, taking their business to the next level. Terra's Kitchen's website is a complex blend of Magento and HubSpot working to its maximum potential. Using our HubSpot COS and Magento Development expertise, we've worked with Terra's Kitchen to streamline processes and optimize conversions.